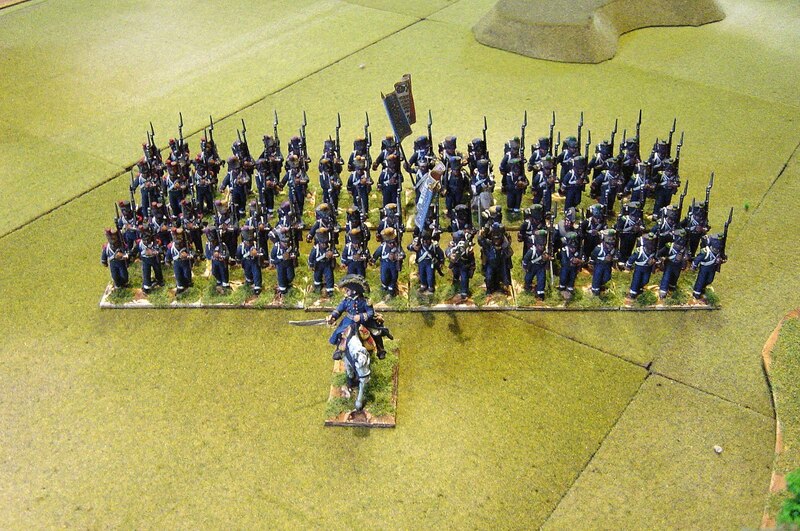 Phase one of this Napoleonics project is the initial French force consisting of a Division of infantry. 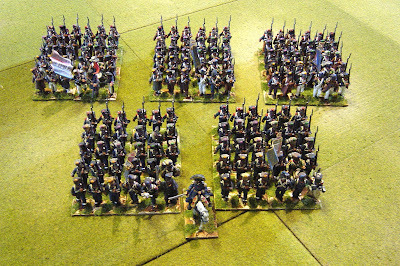 Each battalion is 36 figs plus a further six duplicated voltigeur company, which is exactly the contents of a Perry box of plastics. These are pretty much done and I’ll be showing them over the next few weeks. 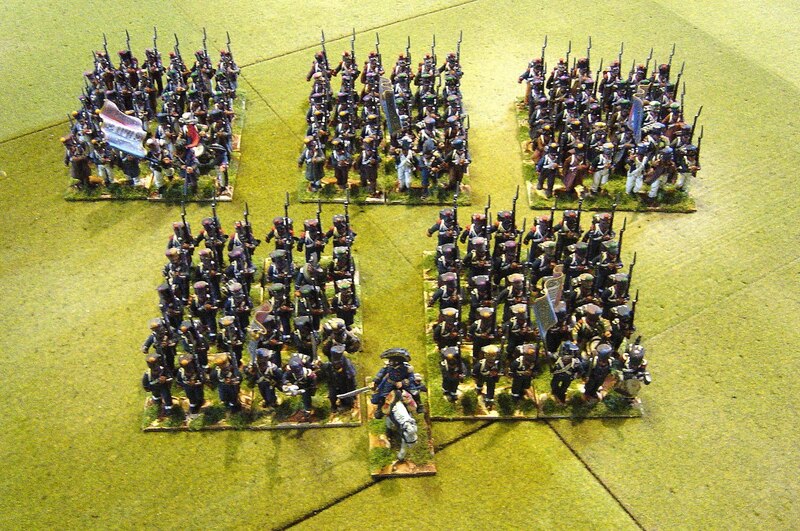 Also to be done in Phase one are Generals, one battery of artillery and 4 squadrons of hussars. 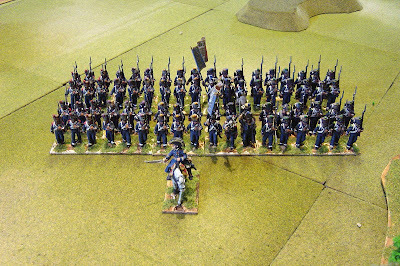 Phase two will be a similar sized Prussian force and as I progress I’ll add additional divisions with the aim of using as many plastics as I can and as many figures designed by the Perrys. The aim is for them to be used from 1812-1815 but with a focus on the year 1813. 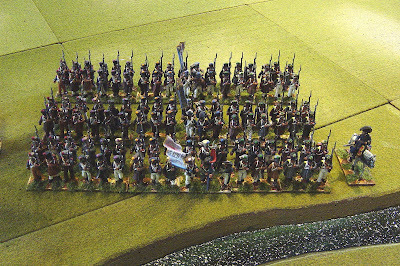 Pictured above is the first brigade of the Division (GD Foy’s) and it is commanded by General de Brigade Valhubert who was killed at the battle of Austerlitz. 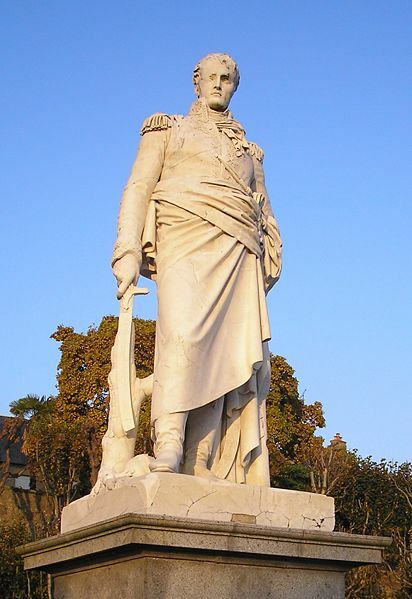 But I have resurrected him because I used to leave near the Normandy town of Avranches, where he was born and where there is a splendid statue of him erected by King Charles X in 1832. He commands two battalions, the first and second, of the 6th Legere. I extracted most of the figures without greatcoats from 10 Perry boxes to give these chaps a more regular appearance. He also commands three battalions of the 30th Ligne making his command a total of five battalions or 210 figures.